This is an aluminum protection frame. 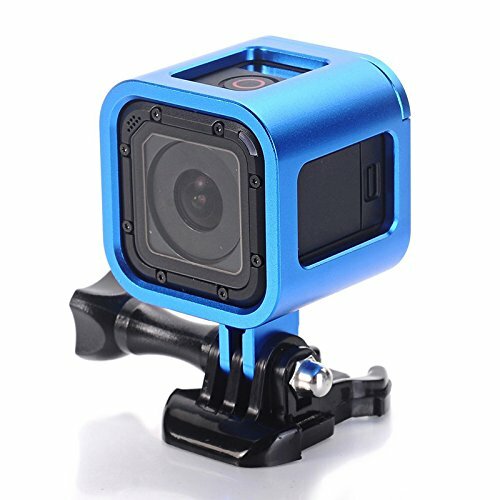 Specially designed to fit For GoPro Hero 4 Session. High quality and aesthetic framework for the protection of your camera, to prevent accidental break. Record your every wonderful moment to share with people around.Unique All in one design, Easy to install and remove ,All Slots Fully Accessible . Made of aluminum alloy CNC injection molded,stable deformation, for aerial photography, you will not worry about the impact of the wind. All in one design, Easy to install and remove ,All Slots Fully Accessible . Perfect for skiing, Skateboarding, mountain biking, motocross, water sports, climbing and other action sports. If you have any questions about this product by Nechkitter, contact us by completing and submitting the form below. If you are looking for a specif part number, please include it with your message.